THE ALOHA BEACH VOLLEYBALL LEAGUE! Hawaii's FIRST Adult Beach Volleyball League! Novice player? Open player? Great! 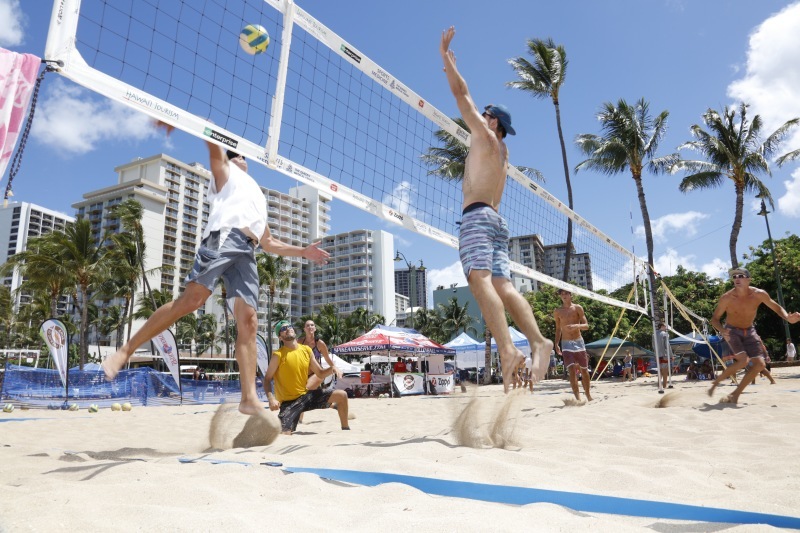 The Aloha Beach Volleyball League has a place for everyone to play the sport on the beautiful beaches of O'ahu, Hawai'i. Open to ages 13 & up. Come play beach with us! There's nothing better than playing beach volleyball on the sands of Waikiki. Getting fit in the process? Bonus! No equipment? No problem! We've got you covered with gear & organized, scheduled play. Be a part of the growing beach volleyball community in Hawai'i. Have fun, make friends & play beach volleyball!